Abel Construction Enterprises, LLC's licensed general contractor is the perfect choice to remodel your kitchen. With over 24 years of experience with updating and enhancing local kitchens, you're in good hands. Our customer service is responsive and friendly and our aim is to give you the kitchen makeover you've dreamed of at an honest price. Call (386) 269-4676 today for a free quote. Expert Advice - Having helped countless homeowners update their kitchens for years, Abel Construction Enterprises, LLC is ready to share their knowledge and expertise with you. Let a professional help you transform this critical area of your home. From the design stage to completion, Abel Construction Enterprises, LLC will work hard to take care of every aspect of your kitchen remodeling project. Attention to Detail - Life happens in the kitchen, and the tiny details of your kitchen remodeling come together to make those moments better. How can you make the best use of this busy space? Let Abel Construction Enterprises, LLC create the perfect kitchen for your lifestyle, combining custom features and efficient design in a comfortable, practical space. 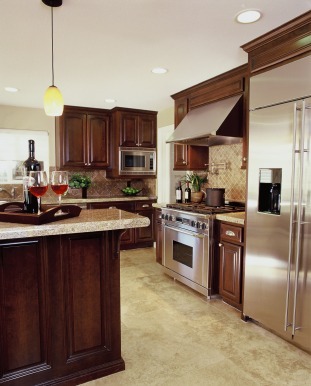 Value - Will your kitchen remodeling project add maximum value to your home and lifestyle? The design staff and qualified installers at Abel Construction Enterprises, LLC use quality materials and thoughtful design to ensure every dollar spent is a dollar invested in improving your home. A kitchen remodeling project will transform your home and increase its value. Partner with Abel Construction Enterprises, LLC to create the kitchen of your dreams. Call Abel Construction Enterprises, LLC at (386) 269-4676 today and arrange for a free quote on your kitchen remodel.